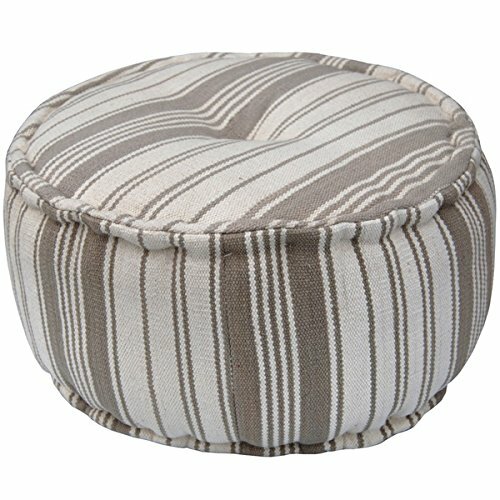 This round puff footstool was handmade by local villagers in the Judhpur area, located in the Rajasthan province of India. First, they weave the printed cotton into the desired pattern, making it to the exact dimensions and then upholster onto the handmade frame. It measures 16 inches high, 16 inches wide, and 16 inches long. Colors include white and beige. If you have any questions about this product by Herat Oriental, contact us by completing and submitting the form below. If you are looking for a specif part number, please include it with your message.